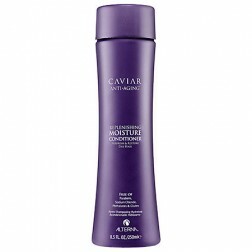 Alterna Caviar Replenishing Moisture Shampoo 33.8 Oz. 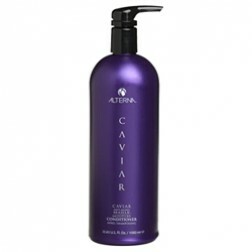 Alterna Caviar Anti-Aging Replenishing Moisture Shampoo liter is a sulfate-free product that instantly rejuvenates dehydrated tired brittle damaged and dull hair leaving it soft easy to comb perfectly moisturized and full of shine and inner radiance. 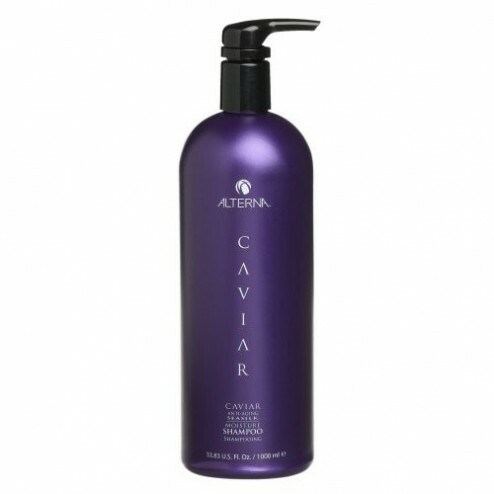 Alterna Caviar Shampoo with Age-Control Complex minimizes the visible signs of ageing. 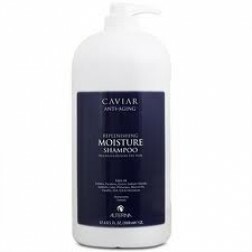 This gentle moisturizing shampoo is infused with caviar a rich source of omega-3 fatty acids and nutrient activating enzymes to help maintain vital moisture levels in the hair cuticle with active organic compounds known as plant cytokines help stimulate protein production. Sulfate and salt (Sodium Chloride) free formula gently cleanses without stripping color. Restores both vibrancy and elasticity to the hair. Targets the aging process containing three super charged key ingredients. - environmental aging from exposure to the sun and artificial light cause color fade. A powerful blend of three Alterna exclusive technologies—new Age Control Complex™ Enzymetherapy® and Photozyme Complex™—infuses aging thirsty tresses with much needed moisture and also supports more efficient microcirculation so surface cells of the scalp turnover more quickly therefore encouraging the formation of healthier more youthful-looking hair. Water (Aqua), Sodium Lauroyl Methyl Isethionate, Disodium Laureth Sulfosuccinate, Sodium Lauryl Sulfoacetate, Cocamidopropyl Hydroxysultaine, Sodium Lauroyl Sarcosinate, Cocamidopropylamine Oxide, Methyl Gluceth-20, Glycol Distearate, Glycereth-26, Algae Extract, Amodimethicone, Saccharomyces/Magnesium Ferment, Saccharomyces/Copper Ferment, Saccharomyces/Iron Ferment, Saccharomyces/Silicon Ferment, Saccharomyces/Zinc Ferment, Phospholipids, Soy Amino Acids, Sodium Phytate, Polysilicone-15, Linum Usitatissimum (Linseed) Seed Oil, Helianthus Annuus (Sunflower) Seed Oil, Hydrolyzed Vegetable Protein PG-Propyl Silanetriol, Glycerin, Laureth-9, Caviar Extract, Butyrospermum Parkii (Shea) Butter, Ascorbic Acid, Superoxide Dismutase, Polyquaternium-10, Trideceth-12, Tocopheryl Acetate, C12-13 Pareth-3, C12-13 Pareth-23, Divinyldimethicone/Dimethicone Copolymer, Lauryl Alcohol, C11-15 Pareth-7, Butylene Glycol, Polyquaternium-7, Decyl Glucoside, Acrylates Copolymer, Dihydroxypropyl PEG-5 Linoleammonium Chloride, Guar Hydroxypropyltrimonium Chloride, Citric Acid, Disodium EDTA, Aminomethyl Propanol, Phenoxyethanol, Methylisothiazolinone, Fragrance (Parfum). 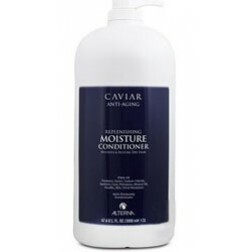 Alterna Caviar Seasilk Moisture Conditioner 33.8 Oz.